Posted on October 23, 2012 by mimijk •	This entry was posted in friendship, humor, inspiration, life lessons, love, mindfulness and tagged Blog, communication. Bookmark the permalink. laughing..and there’s always the beauty of a ‘delete’ key! 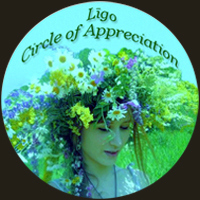 I am deeply touched and honored to be included in your circle of appreciation. I so appreciate you, your wonderful and wise perspective, your sense of humor and I agree with Ivan, the great commentary on this site. Your posts spark a desire in us to enter a dialogue with you and to keep the conversation going. Thank you for the recognition. I will keep the circle going. I sooo agree! I could see us being great friends! Thank you again, dear Mimi. How wonderful for you. I too love to write back to every person that comments on my posts. You’re right it is a conversation. Some are a joy, while others are heartbreaking. We say what others feel and don’t have the courage to say on their own. Don’t count yourself out about your writing ability. It is your ability to connect that makes you who you are. That’s why we’re all here. In some small way we want what we say/write to matter. It’s what we want honey. To matter. Even if what we say matters to ONE person. We’ve done what we set out to do. Keep doing what you do. I LOVE it! Yes! When I first began blogging nearly a year ago, I had no idea that any of my written thoughts would be responded to – what a shock. Yes, it is a conversation. Great post and many thanks! I love that we have ‘met’ Julie! Congratulations – well deserved. And thank you for introducing me to two more inspirational blogs I had not heard of! I’m looking forward to checking them out! Thanks Jenni! Always happy when we get the chance to widen our circle! Would that I could pop over with some chicken soup!! Seriously, I hope you are feeling well.. Thank you for your blog, Mimi. It’s nice to be in your conversations. Keep up the great work! I enjoy having them with you Susan – thank YOU very much! I would buy and read your book. So giddyap. Listen, giddyap beats a stick to the side of the head any day of the week. Nope, not a horseman. My point stands. If you want oats and that’s what it will take, send my your home address, and I’ll have UPS send you a truck load so you can feed. hmm..the blog as a conversation? Absolutely! While I write my blog posts for my own expression the comments then take that out of my head and into the realm of relationships – without which there would be no point expressing anything at all! Mimi, thank you for the kind words. I like how you define a blog as being a conversation. That is the same way I see it and it is not the humorous, or political, or news driven blogs to which I gravitate but to the ones that speak to me and to which I can speak back. I enjoy writing and I greatly enjoy that connection, that continuing conversation that is blogging. I have gained a lot of inspiration from you and I am glad to have you in my circle of blog friends. I too love having you in my conversations! You do write that way you know – and I feel like you write in such a way that it is only natural to respond.. The world hopes for more passionate writers like you who aren’t afraid to mention how they believe. At all times go after your heart.